Kontron® scanner, early 1980s. Very large probe to fit on the abdomen. 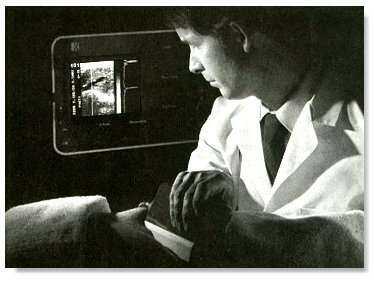 Note also that it was customary at that time to scan in a darkened room. 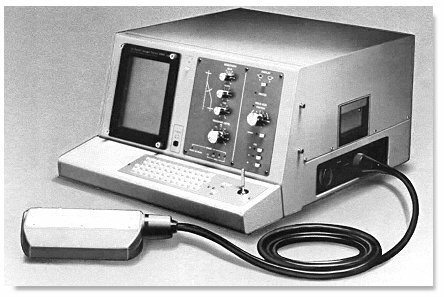 Early Siemens® scanner, early 1980s. Note the very large size of the linear array probe. Other manufacturers have similar size probes until about 1982-83.